Rock Band was just released but already managed to behave like a rock star and create a bit of legal trouble for its publisher. A lawsuit has been launched against Acitivision. A rock band called The Romantics filed the lawsuit against the three companies over a cover version of one of their songs, namely their 1980’s hit What I Like About You. 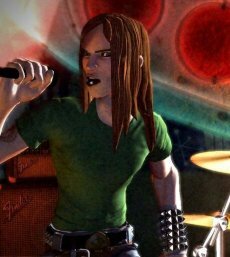 The plaintiffs complain in their filing that the cover version featured in the Rock Band game is too similar to the original and thus might lead consumers to believe that the songs is actually an original recording and that the band backs the game. The lawsuit was filed on November 20 in a federal District Court in Detroit. Alongside Activision, the defendants’ list includes Harmonix and RedOctane, as well as the performers of the cover, Wavegroup Sound. The plaintiffs ask the court to issue an injunction against the distribution of the game, plus the now usual seeking compensatory and punitive damages. Their legal war is based on the right of publicity, which protects the individual from having his identity used by third parties for commercial purposes without permission. On the other hand, most cases standing a chance in court involve well-known personalities, and The Romantics are far from being is such a position at present time.